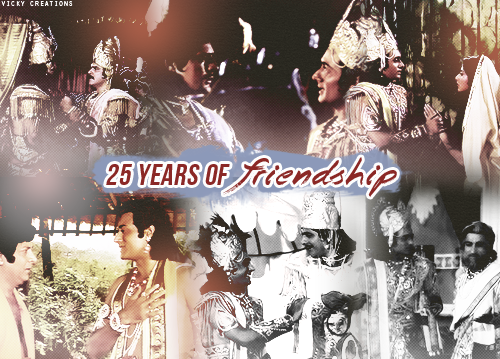 It was exactly 25 years ago that B. R. Chopra's Mahabharat began airing on Doordarshan, and soon after captivated audiences across both in India and worldwide. The streets were emptied, the gaps between generations bridged by this magnificent epic brought to life on the small screen. It's difficult for me to believe that we're celebrating the quarter century anniversary of a piece of art which, in spite of focusing on a subject several millennia old, feels fresh and relevant even today. There is a boldness about it, a sense of practicality and modernity, and just the right amount of humor amidst its deep philosophical and political messages to ensure that even when I rewatch an episode for the thousandth time, and that too right after a contemporary series, it never feels outdated but remains evergreen. A number of elements came together to make the show special for viewers of all age groups, even those like myself who initially watched the show as young children. The dialogues, first and foremost, were crisp and thought-provoking. They were often purposely written in a way that could foster multiple interpretations and encourage healthy intellectual discussions and debates. The music was another favorite feature of mine; it was rich with diversity in its offerings, from classical dance numbers to romantic poetry to energetic battle anthems to melancholic melodies to devotional hymns. The sheer size of the cast was noteworthy as well, with over 150 names on the roster, but even more remarkable was the equitable distribution of screentime and importance among so many lead and supporting characters. And what to say of each one's talent! Nitish Bharadwaj as Lord Krishna, effervescent with wit and wisdom, so perfectly struck a balance between human and divine that many of us envision our Krishna to be a practical, fun-loving, and approachable friend and philosopher in much the same way. Roopa Ganguly's passionate portrayal of Draupadi exudes strength and confidence, inspiring us to speak our minds and raise our voices against injustice no matter what the circumstances may be. Feroz Khan's devout and obedient Arjun reminds us of how a devotee should aspire to behave. Pankaj Dheer's emotionally charged Karna fills us with empathy and warns us that even the noblest among us can cheat ourselves out of a happy ending if we fall into bad company. Mukesh Khanna's lion-like Bhishma, a picture of stateliness and dignity, gives us countless lessons in what does and does not constitute duty. Similarly just about every member of the cast, no matter how small or large their role was, infused their character with a dominant trait/persona that may or may not have made them likeable, but most certainly made them memorable. All in all, the show was a conglomeration of sincere efforts from the creator, the cast, the and the crew. Their sincerity and dedication are evident in the tears we saw them shed in the "Making of" videos that the producers have released, and moreover, the quality of the series itself. It is truly an effort worth celebrating, and we welcome one and all to join us reminiscing about when and how this adaptation of the Mahabharat touched our lives. Ravi Chopra's interview with The Sunday Tribune (2002) ~ "NO other country in the world has a value system so deeply and permanently entrenched in its mythology as India has. The way the Ramayana and the Mahabharata developed their many-stranded narratives, created their strong and well-drawn characters and gave a sense of permanence to the values each character stood for is a unique miracle in the history of human civilisation. Nowhere else, in no other body of literature, do values play such a pivotal role as they do in the Ramayana or the Mahabharata. You have here, in these epics, heroes who give their word and lose everything while keeping it, in fulfilling a given promise. You have valour, family unity, respect and honour for elders, romance, elegance, art " indeed every facet of life has an exquisite expression in these epics. Most important to every generation of Indians is the value systems reflected by the relationships of the various characters. The Mahabharata is a portrayal of a society where the values collapsed and created the most violent confrontation between the forces of good and evil. The values which epic characters project affect Indians irrespective of their caste, creed or religion. They are not Hindu values per se. They are the result of a unique civilisation, which reflects the ongoing search for an elegant, enlightened way of life, which leads to perfection. Which is why Christians, Muslims and other religious groups in India are different from their brothers anywhere else. They are also bound by the values, which are enshrined in the Ramayana and the Mahabharata. When television came, mythologicals were again preferred themes because one doesn't have to innovate stories or characters when one takes a narrative from the epics. 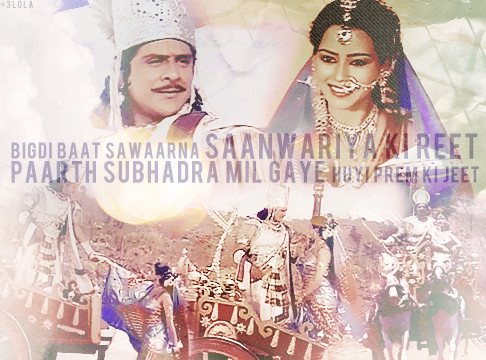 Further, TV gave an opportunity to lay before the viewers each memorable characters from the epics in detail. When we made Mahabharata, we divided the narrative into more than 90 episodes of an hour each. There was ample time to elaborately spell out the values of the narrative, to establish the strengths and weaknesses of each character and to find reasons and justifications for each of their actions and decisions. Interpretation is the essence of the presentation of an epic on television. We do not have to introduce the characters. We have to experience them. Mahabharata became a classic and was shown all over the world because of the dialogues, the perfect casting and the perfect coordination and interpretation of every scene. Our Mahabharata followed Ramayana and touched an all time high of popularity. It literally stopped all traffic in India on Sunday mornings and made families gather around the TV set with clockwork regularity for two years from 1988 to 1990. I was able to make a relatively less known character like Bhishma into a memorable Pitamaha whose words were epitomes of wisdom. He was as important to the story as was the Mahanayak Krishna. As is known, Mukesh Khanna and Nitish Bharadwaj were cast perfectly in these roles and are identified with the characters even ten years after Mahabharata was telecast." Yet the average Indian's thirst for mythology has not quenched yet. The Ramayana and the Mahabharata remain ever fresh and ever interesting for him.In mythologicals, casting and dialogues have to be perfect. The success of our Mahabharata was mainly due to excellence in these two areas. Rahi Masoom Raza wrote brilliant dialogues which linked eternal values from the epic to modern living and the result was almost electric." Nowadays we're surrounded by so many vastly differing TV shows that it's hard to keep track. And once the final episode airs, it's usually out of sight out of mind. 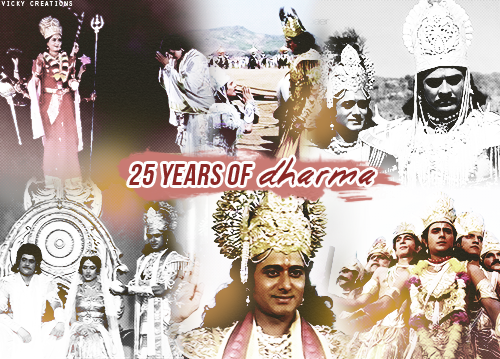 One exception is B.R Chopra's Mahabharat which has had an unchallenged reign over our hearts for the last 25 years! The epic is something I hold very close to my heart. We were lucky enough in the UK that Mahabharat was telecast on BBC in the very early 90's. Like so many other British Indians my grandparents and parents recorded the episodes on tape and these became a major part of my childhood. 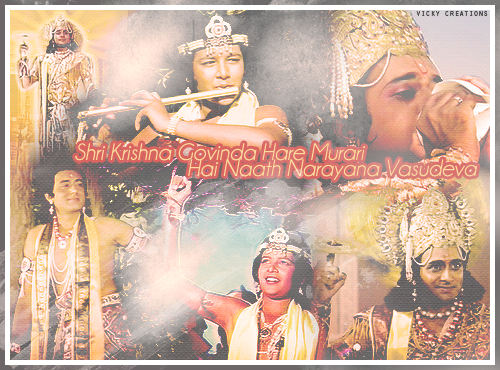 The bal Krishna leela is especially close to my heart...I was growing up alongside mischievous Krishna himself! The beauty of the show was that it appealed to young and old alike. While I was marvelling over the action scenes and the beautiful costumes, my elders would be listening to the wisdom between the lines, the lessons behind the story. And now, as a young adult I too am beginning to hear what they heard, learning a new lesson each time. I have Mahabharat to thank for the love and interest I have in Hinduism and Indian mythology. 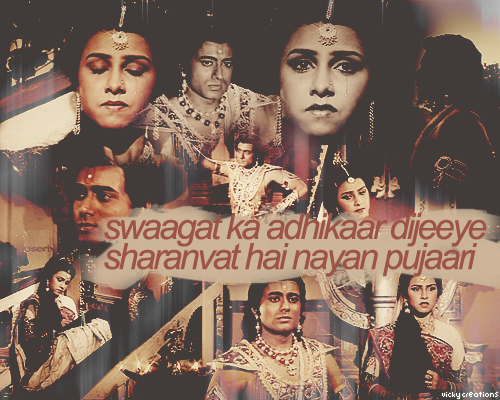 As a young woman the character of Draupadi is inspiring to say the least. The strength and dignity Roopa Ganguly displayed during the Vastraharan' sequence is something that has not...and most likely will not ever be replicated on television. If any Indian television show deserves to remain in the hearts and minds of people across the world then it belongs to the Mahabharat. The cast of the show was its Brahmastra...it's very hard to see a new Krishna, Arjun or Draupadi without feeling a pang in my heart for Nitish, Feroz and Roopa. I feel very grateful to be a part of the audience for this show and I'm honoured to have been able to make this thread to celebrate Mahabharat's achievement. 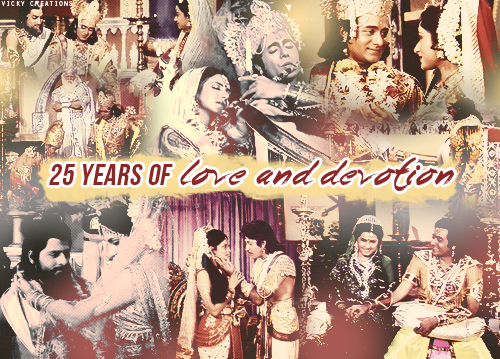 Congratulations for making it to 25 years and I'm confident my children will be growing up and learning from it just as I did, and that we'll be celebrating its 50th year together! I first watched B.R. 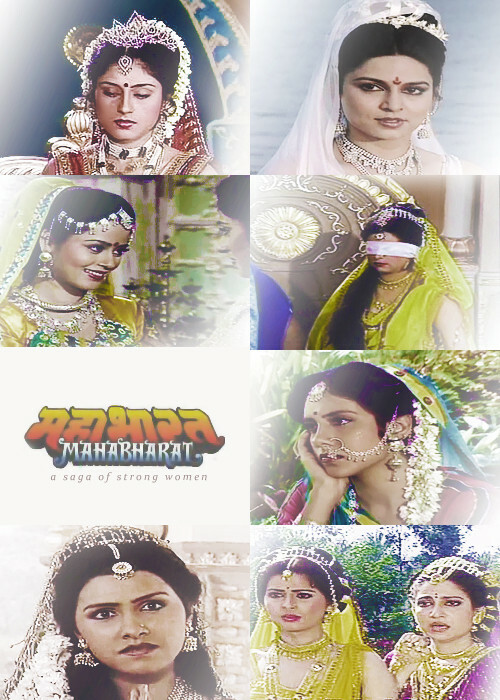 Chopra's Mahabharat when I was only 7 or 8 years old, and I haven't really stopped watching it since. 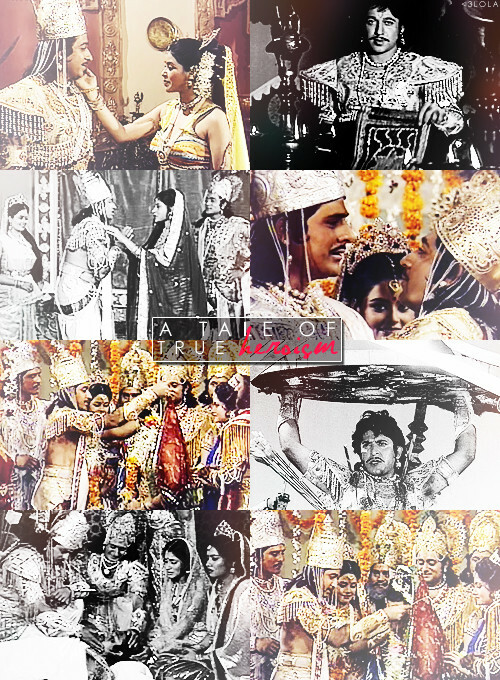 Back then, it was Krishna's childhood pranks, Bhim's dietary habits, and the sight of Arjun in drag. My reasons for enjoying the show have since changed, but not the amount of love and appreciation I have for it. 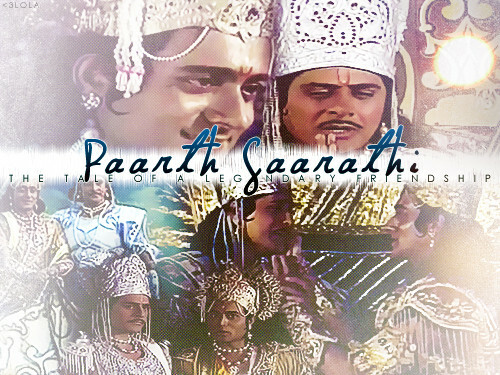 If anything, I love it even more each time I revisit it because whenever I rewatch an episode, it gives me something new to learn from, or something to think about and discuss and debate with like-minded friends until we draw a conclusion that is as relevant to our 21st century lives as it was back in Dwapar Yug when the story took place. 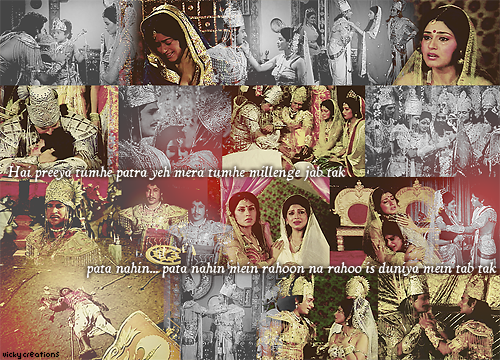 Those two qualities of the show are what really make it special for me - the clever writing because of which any one dialogue can inspire so many different interpretations, and the timelessness of its messages - its ability to use dialogue and narration to draw parallels between the predicaments of these larger than life characters of the past and our own day-to-day challenges and concerns. Of course those qualities would not have been rendered so memorable without the show's near flawless cast. 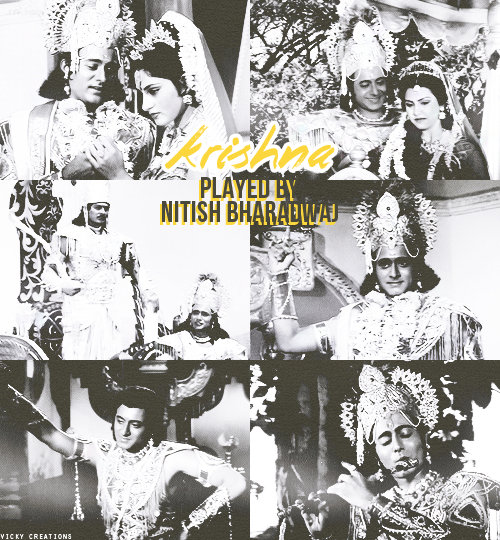 I will forever cherish Nitish Bharadwaj's portrayal of Krishna, which reinforced my belief that my God is not chilling on a throne up there somewhere unconcerned with whatever I'm going through, but has a dynamic presence in my life as a guide and a protector and a friend - with a sense of humor and deep empathy in equal measure. Similarly, Roopa Ganguly's portrayal of Draupadi's strength and Feroz Khan's ability to convey Arjun's devotion and trust in God - showing us how one behaves and later prospers when one literally and figuratively hands him the reins - will affect and inspire me forever. I am grateful to the B.R. Chopra and everyone involved in the show for giving me all those lessons, all those reminders, all that mental exercise , and especially the priceless friendships it gave me. Thank you BRC MB for 25 glorious years, and here's to 2500 more! Gajendra Chauhan (Yudhishtira) was the original choice for Krishna! However thanks to a very long lull before shooting began Gajendra ended up gaining weight, and after seeing Nitish Bharadwaj (Krishna) audition for the role the vote was unanimous. The Chopras had found their Krishna! Nitish Bharadwaj (Krishna) was originally cast to play Vidhur! However Ravi Chopra decided he was too young to play this role and called Nitish for a screen test as Krishna. His charming smile and excellent command of Hindi helped him bag the role, and gave us our iconic Krishna, loved even today! 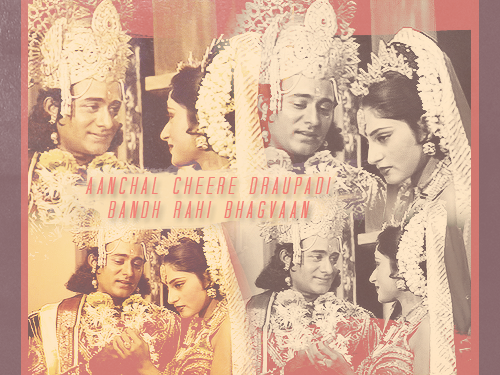 The same applied to the character of Draupadi...Juhi Chawla was originally penned for the role, however a career in Bollywood beckoned and she decided not to be a part of Mahabharat .Her loss was our gain as we got the privilege of seeing Roopa Ganguly (Draupadi) perform as though she had been born to play this role. Mukesh Khanna (Bhishma) attended the muhurat of the show as Dronacharya. 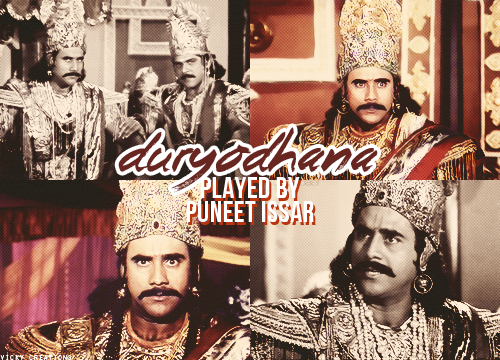 The makers originally wanted him to play Duryodhana, but Mukesh didn't feel he would be able to do justice to the role. 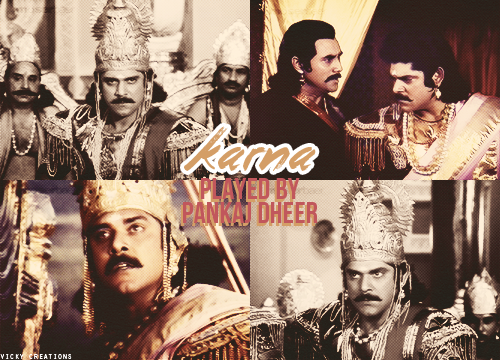 The actor they had chosen to portray Bhishma stepped down, and the rest is history! 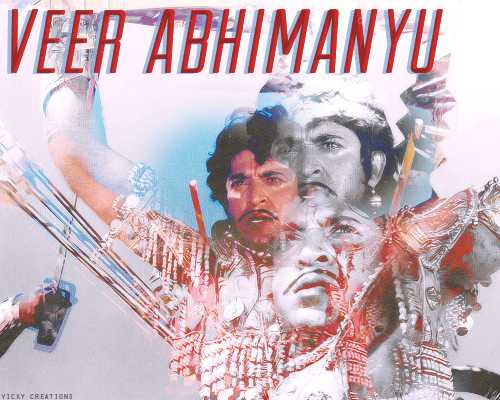 B.R Chopra felt that Puneet Issar (Duryodhana) was the right candidate to play Bhima, however Puneet didn't want to be typecast in muscle-man' roles...he proved to the makers that he could act and convinced them to take him as the evil Duryodhana. Sagar Salunke (Balarama) was also being considered as Bhima ,but after Puneet was given the green light to play Duryodhana, the makers felt that Sagar would be an "unequal adversary" to Puneet's well-built Duryodhana. The search ended after finding two times Asian Games Gold Medallist Praveen Kumar (Bhima) - 6ft 8inches! Apparently the Chopras approved Praveen as soon as he entered the room! And with that Sagar was relegated to the role of Balarama. Gufi Paintal (Shakuni) was the casting director and he had a tough time choosing someone to play the evil 'mama' Shakuni. After several disappointing auditions the Chopras decided Gufi should be the one to portray the role since he had already established himself in a similar role in 'Bhahdur Shah Zafar'. Around the time of shooting, Gufi was about to undergo an operation to fix his hip, as he was walking with a slight limp on one leg. However Gufi decided against the operation and asked the makers if he could incorporate the limp in his character. They agreed, and we were given a sly, limping Shakuni with eerie background music to boot. 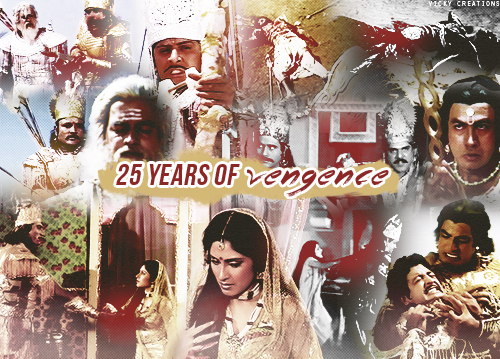 Please come and join us in celebrating 25 years of India's greatest epic, Mahabharat. Tell us about your first encounter, what the show means to you and what your favourite scenes/who your favourite characters are. Feel free to make your messages as long or as short as you like. We'd love to see any creations on the show that you wish to share! Since this is a celebratory thread, please try and refrain from criticising the show, which can be done elsewhere in this forum.